Whelp, guess I'm buying a shirt! 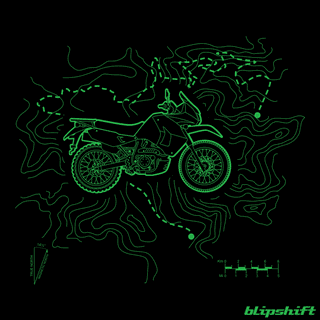 Today’s blipshift features my very own bike! A post-facelift KLR! I’m actually surprised at the level of detail they got in it. Though I wish the color scheme was a bit less....Kawasaki-y. Worst case scenario, it’s a motorcycling shirt.